Content is King and content marketing is crucial to ensure success for your small business or start-ups. A large number of first-time entrepreneurs were able to build their start-ups using content marketing. One of the most acclaimed marketers, Peep Laja was able to build ConversionXL, one of the most trusted conversion optimization blog, using content marketing in 2011. His smart content marketing strategies made his blogs go viral. And he was able to reach out to 100k visitors per month, by the end of the first year. 78% CMOs and entrepreneurs believe custom content is the future of marketing. What type of content is popular with successful entrepreneurs? But what exactly is a PODCAST? Why is it so popular with entrepreneurs? Because Podcasts are perhaps the most important form of content consumed by an increasingly large number of people! Popularity of podcasts has been surging and 42 million Americans listen to podcasts weekly. Well, you must focus on your products and services; but remember there are already thousands of startup brands crowding the online space and you can only be successful if you stand out. But how will you stand out? With a dose of inspiration from successful entrepreneurs and by listening to the inspirational stories of other startup founders, interesting story, embracing their business advice, and learning new skills. And where would you learn all that from? By tuning into some inspirational podcasts that pack enough power and punch to help you take your new startup off-the-ground almost immediately! Today, I’m going to reveal about 5 podcasts that promise to help, inspire, and motivate first-time entrepreneurs. ‘Entrepreneurs on Fire with John Lee Dumas’ is an interview Podcast that shares the story of each guest who are usually successful entrepreneurs. The host John Lee Dumas engages listeners with the inspiring, interesting and worth sharing stories of successful entrepreneurs. Guests, featured on this Podcast, share their WORST Entrepreneurial moment to their AH-HA moments with the host. What’s in it for first-time entrepreneurs? The aim of this podcast series is to help first-time entrepreneurs can get to learn how to deal with personal and business challenges and emerge as a winner. It can help point first-time business men in the right direction by creating an opportunity out of what might seem, in the moment, next to impossible. ‘Entrepreneurs on Fire’ podcast series has been conceptualized to help first-time entrepreneurs put things into right perspective and get a fill in on inspiration, ideas and motivation to take their dream ventures off the ground. Listen to the Latest Entrepreneurs on Fire Podcast Episode. Yet another amazing Podcast series that all first-time creative entrepreneurs must tune in to is Smart Passive Income. This podcast series hosted by Pat Flynn acquaints you with online business and blogging strategies, income sources, and marketing tips and tricks. This implies that you can learn about discover how one can create multiple passive income streams. Smart Passive Income can help first-time entrepreneurs focus on their dream ventures with inspiring entrepreneur stories, business advice and clever tips & tricks. Overall, this podcast can first-time entrepreneurs get sneak peaks, insights, and actions to help them earn more by doing what they love, whether it’s traveling the world, or just living comfortably at home. Listen to the Latest Smart Passive Income Podcast Episode. Hosted by Jaime Masters, Eventual Millionaire is one of the most popular podcasts that have been making waves in the business world in 2017. This Podcast series shares the story the experiences, stories, and resources of multimillionaire entrepreneurs have used to achieve success. Each week, this podcast series presents a new millionaire to help listeners learn from. These business leaders share their best tactics, resources and advice to help first-time entrepreneurs growing their business. Overall, Eventual Millionaire helps first-time entrepreneurs understand what it takes to follow the tracks of the best and brightest millionaires in the business world. Listen to the Latest Eventual Millionaire Podcast Episode. Another Podcast series that is sure to continue making waves in 2018 is Beyond the To-Do List. Consistently ranking alongside the best in the podcast directory worldwide, Beyond the To-do List shares funny stories and inspirational lift which surely acts as a respite from the humdrum of ever-so-chaotic and ever-so-competitive ecommerce industry. The host Erik Fisher frames questions to get answers that every first-time entrepreneur wants to know. This Podcast promises a world of inspiration from those who have already achieved success in the world of ecommerce. This podcast series promises to help first-time entrepreneurs looking to start a blog, grow their email newsletters or sell their own digital products. This podcast series is focused around helping first-time entrepreneurs looking to leverage tips and advice and sell digital products easily and quickly. 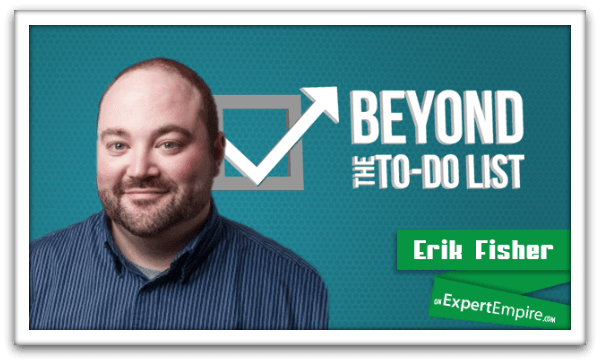 Listen to the Latest Beyond the To-do List Podcast Episode. Last but certainly not the least on our list is ‘Youpreneur by Chris Ducker’. This amazing free podcast series brings together successful business leaders who help ambitious upstarts with tips, tricks and advices. The mission of this podcast series is to introduce first-time tech entrepreneurs to doers and thinkers whose ideas and stories are powerful, inspiring and motivational. This podcast has been designed to give first-time entrepreneurs an alternative to the “know-it-all, professional gurus.” The podcast makes it easy for new startup owners understand that the best way to grow is to learn from a mix of smart people who are willing to share their expertise and experiences. Listen to the Latest Chris Ducker’s Youprenuer Podcast Episode. So there you have it – 5 best inspirational free podcasts for first-time entrepreneurs. So if you too are a newbie entrepreneur and are hunting for tricks of the trade, don’t forget to subscribe to one of these podcast series and learn for experiences of the successful entrepreneurs. I hope that you see the full potential of podcasts: a scalable way to take your new business off the ground effectively. Great list and I’ll add another one to it! The Art of The Fail (theaotf.com), it’s a new business/entrepreneurship podcast where we chat with startups and entrepreneurs about their f*ck ups, hardships and failures, to uncover great lessons and remove the stigma from failure.